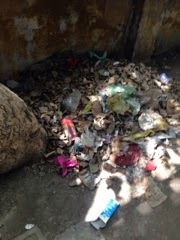 Litter litter everywhere but not a broom to pick! Hypocrisy is always there in the governance. 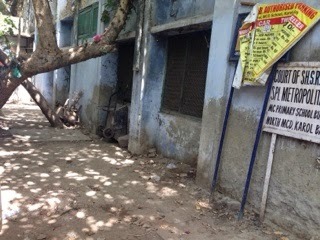 I received a summon from a municipal court because my neighbour did not fix his sewage discharge. 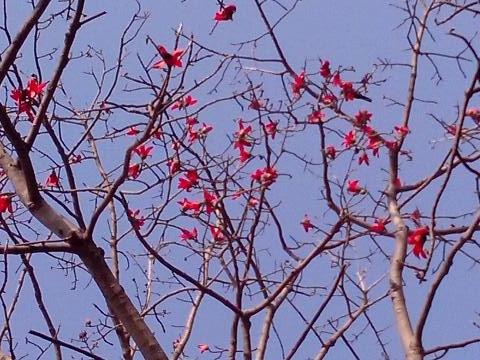 That story some time later on at my other blog. 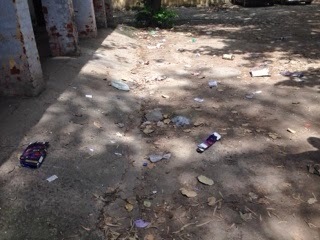 But here are the pictures of court compound which is so filthy with litter piling up every where. 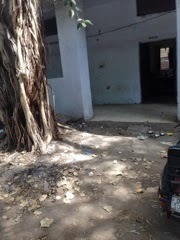 No wonder swach Bharat Abhiyan or clean India Mission is generally carried on by private people. 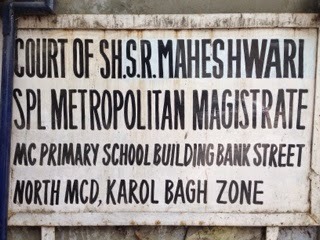 Another view of name of the signboard of the judge but interesting fact is that name is wrong, as I discovered later. 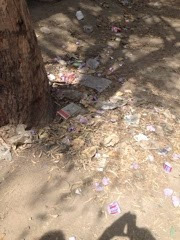 Does any one would feel right to pay for littering when the court itself is unable to clear the litter around it? BTW as it turned out the name on the board is wrong. 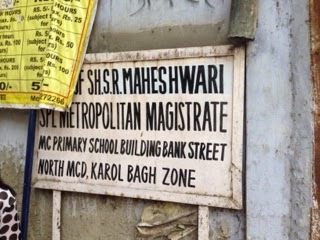 The actual name of the judge inside was Arun Kumar Saxena.